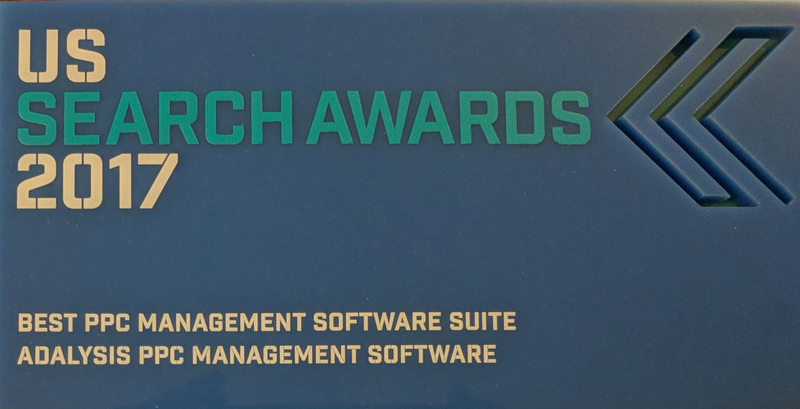 We’re happy to announce that for the 2nd consecutive year; we’ve been awarded the Best PPC Management Suite Award by the US Search awards. While we get to collect the award; this is an award that should also be presented to our customers as they push us to keep innovating and coming up with new and interesting ways to make powerful PPC management tools easy to use at scale. Adalysis new dashboard was also recognized for one of the top innovations of the year. Over the next year, we will continue to keep adding features and making Adalysis the best PPC Management Tool available.